Yesterday I put on an old sweatshirt - I'm doing some exercise bike sessions to get the old fitness worked up a bit before we start going cycling and hillwalking as the weather improves. I have a silly collection of old teeshirts and sweatshirts, mostly souvenirs of my days touring with jazz bands, which are useful for sweaty workouts. Yesterday's specimen is one of the few surviving long-sleeve jobs - this one from the Riverboat Jazz Festival, Silkeborg, in Denmark's Lake District, from 1994. That was the trip on which I shared a hotel room with Noddy, the trombonist. Noddy was a gentleman, really - unusually correct for a muso. No trouble at all. He was married to a very loud lady who had been a professional singer of some note (as it were), and he tended to fade into insignificance when she was around. At that time we had some pretty wild drinkers in the band. The jazz festival in Silkeborg was based around a huge marquee venue in the centre of the old town, and there were some very late shows. One night we played a set starting at midnight, by which time a couple of the more seasoned members of the band were already unfit for duty (it's a funny thing, but it was always the supposed professionals who let themselves down in this way...). In particular, Jack Duff, the tenor sax man (an absolute monster of a player, by the way), was staggering drunk - he couldn't stand up but he could still play like an angel - maybe he'd have lived longer if that hadn't been a common situation. We got through that set by the expedient of lashing Duffo to one of the big tent poles that supported the marquee - he was OK. We released him during the break, and carted him home after we had finished. There were a few characters like that - I found much of this rather unnerving, to be honest. Anyway, back to Noddy. He was from Kent, originally - he had served as a bandsman in the army, and after that he got a job as a music teacher. I'm not suggesting that there was anything wrong with guys like Noddy, nor with the teaching system at that time, but the entrance criteria for instrument teachers in the schools seemed less rigorously based on academic qualifications than you might expect. I hadn't spent much time with Noddy, so sharing a room with him was a new experience. 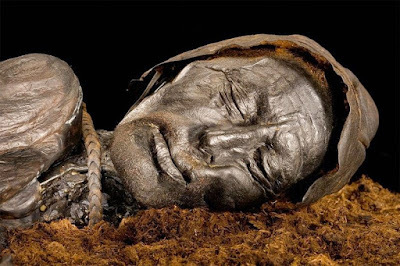 During off-duty spells we went out for a few trips to local attractions - we went to see Tollund Man (the prehistoric chap they pulled out of a local peat bog), we walked around the big lake, we had some good chats about music and films, and I learned that Noddy was another boozer. Not a raving drunk, like some of them, just a rather sad, quiet alcoholic, who did his drinking in private. When we went out for our walks around Silkeborg, Noddy would always excuse himself just as we left the room, claim that he had forgotten something, and go back. When he joined me downstairs, he smelled of whisky. In his wardrobe he had a secret bottle of Canadian Club. As the week went on there were a series of successors to this bottle. I only knew the whisky was there because his wardrobe door swung open on the first day (by itself! ), and there it was. I was fascinated, because Noddy obviously carried a chinagraph (wax) pencil, with which he recorded the level in the bottle each time he took a slug. I was sorry that he had to keep his drinking a secret, and slightly miffed that he kept a check to make sure that outsiders (such as myself) were not pinching his booze. If he had simply told me that he liked a drink when on tour then I wouldn't have cared - would not have disapproved, and certainly would not have raided his supply. I mentioned this to Fergie, the trumpet player, and he came up with what we considered a great prank. 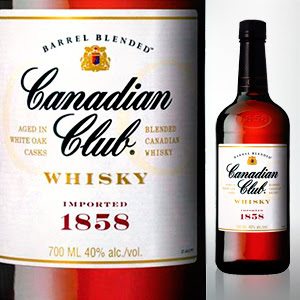 He and I jointly purchased a half-bottle of Canadian Club of our own, which I kept hidden away, and for a few days I used to sneak a bit extra into Noddy's current bottle, so that the level was appreciably above the latest chinagraph mark. We were interested to see what happened - it seemed unlikely that he would accuse me of putting whisky into a bottle of whose existence I was supposed to be unaware. He would, in any case, have to out himself as a secret boozer to do this. We didn't go crazy - there were just a few days when the whisky level definitely went up instead of down. If Noddy noticed then he didn't say anything. Disappointing, really. When the half bottle ran out I stopped, and presumably he just assumed he had made a mistake with his pencil. Ultimately it wasn't as much of a laugh as we had hoped, but since it would not have been a very kind sort of laugh maybe that's right and proper. All long ago - Noddy, like so many others in that band, is no longer around. He died, quietly and politely, of early-onset dementia a few years ago. I hasten to add that I was very much a relative youngster in that company!